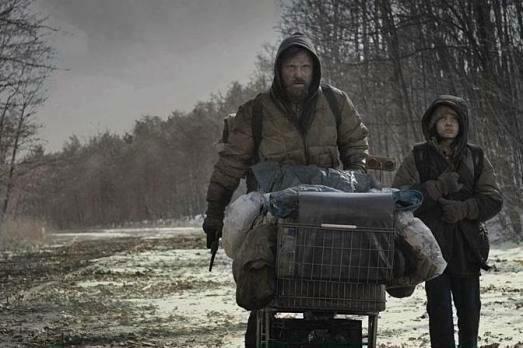 The Road (2009) is a film adaptation of Cormac McCarthy’s Pulitzer Prize winning novel published in 2006. 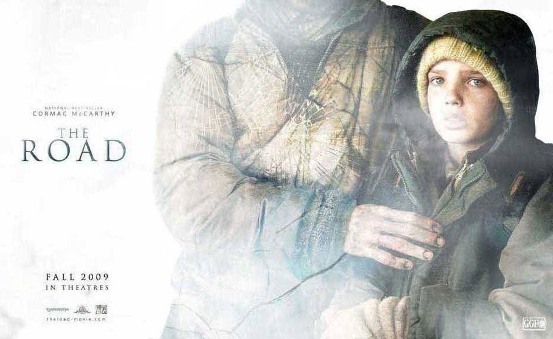 The film stars Viggo Mortensen as a father trying to get his son (Kodi Smit-McPhee) to safety through a landscape swept by a disaster that is never revealed. Other than cannibalistic gangs, the main antagonists on their journey through post-apocalyptic America are hunger, fatigue and a sense of hopelessness. The Road was filmed in Pennsylvania, Oregon, California, Washington and Louisiana between February and April 2008. It was originally slated for a November 2008 release, but got pushed back several times and finally hit theatres on November 25, 2009. It was released on DVD and Blu-ray on May 25, 2010. The Road is a post-apocalyptic dramatic thriller about a father and his son walking alone through burned America. Nothing moves in the ravaged landscape save the ash on the wind. It is cold enough to crack stones, and when the snow falls it is gray. The sky is dark. Their destination is the coast, although they don’t know what, if anything, awaits them there. They have nothing; just a pistol to defend themselves against the lawless bands that stalk the road, the clothes they are wearing, a cart of scavenged food — and each other.